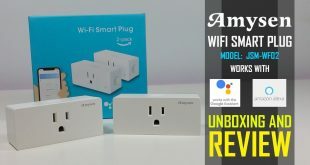 The Amysen smart plug is one of my fav smart plugs so far. The setup for this smart socket is a breeze. It took me less than 5 mins to totally setup and configure this plug. Another advantage that this smart plug is how compact it is.